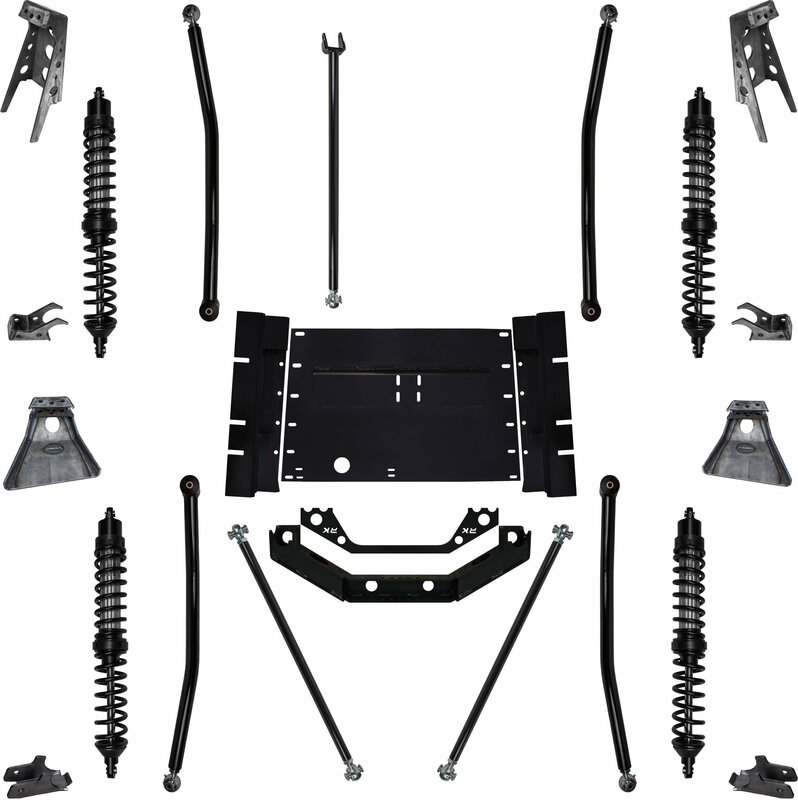 The LJ 5.5" Rock Runner System is perfect for those looking to get the most out of your Wrangler. The rear axle is pushed back 4" putting the wheel base at 106" making it great for just about all off-road conditions as well as street use. The high clearance lower control arms improve cross over angles and off-road ability. The sport tuned 14" travel front and 13" travel rear 2 5/8 RRD Racing Coil Overs provide great on road ride and off-road performance. Like all of the RRD products, they are full adjustable and tunable. The rear coil overs are frenched into the frame ahead of the axle enhancing the off-road ability even further, much like an off-road race vehicle!